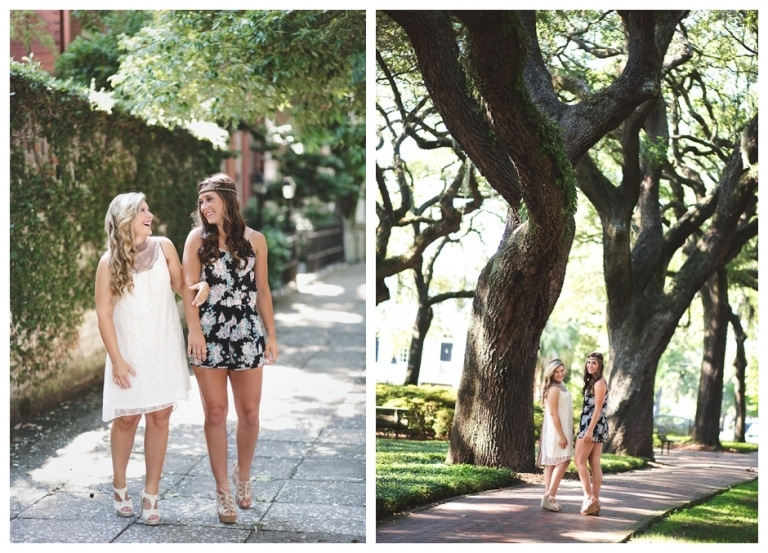 I couldn’t wait to share a couple of images from Grace and Mary Katherine’s “Best Friends Senior Destination” session in Savannah Georgia! I have photographed both Grace and “MK’s” regular senior portraits and was so excited to be able to go to Savannah for a Destination Session before the girls head off to college. Girls just want to have fun and that is exactly what we did! There were lots of laughs, funny outtakes, and even the moms had just as much fun! We started downtown Savannah and finished at sunset on Tybee. What beautiful locations, it is always fun to go somewhere different! Clothing provided by ALTAR’D STATE. Proud to announce Destination Sessions for the Class of 2015! Would you like to schedule your Destination for your Senior Portraits? Contact us above for more information!